Johns Hopkins University Press, 9781421424224, 256pp. Lee Conell's linguistically deft stories examine the permeability between the real and the imagined, the stories buried beneath the surface and the stories by which we live our lives. In the title story of this collection, a young woman who wants to become a doctor is manipulated by an older man into playing a role in one of his medical studies. In "The Lock Factory," winner of the Chicago Tribune's 2016 Nelson Algren Literary Award, three women who assemble school combination locks are trapped inside an escalating generational conflict of their own making. A boy who has lost his mother in "The Rent-Controlled Ghost" searches for the spirit of the mistreated tenant who formerly inhabited his apartment. "A Magic Trick for the Recently Unemployed" serves as a three-step how-to guide for reclaiming a sense of self and purpose. In "What the Blob Said to Me," an elderly woman dwells on her long-ago experience working at a government production site for the atomic bomb. And a mother-daughter Groupon for an upscale afternoon tea goes seriously awry in "Mutant at the Pierre Hotel." 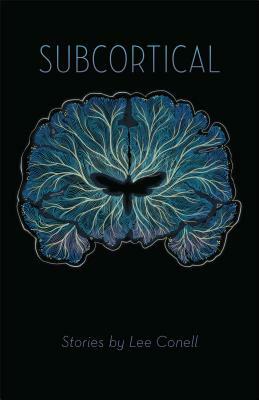 With humor and verve, Subcortical's dynamic stories delve into the mysteries of the human mind as these haunted characters struggle with economic disparity, educational divides, and the often-contested spaces in which they live. Lee Conell has taught for Southern Word, SUNY New Paltz, and Vanderbilt University, where she earned her MFA. Her fiction has appeared in the Chicago Tribune, Glimmer Train, Kenyon Review online, Guernica, American Short Fiction, and elsewhere. This is her first book.